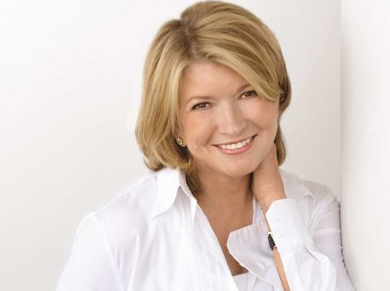 Follow Martha Stewart’s lead and join an online dating site. It’s okay to define your own terms, too. Everyone’s doing it. Everyone who’s single, that is. Even Martha Stewart has now joined millions of other singles and subscribed to an online dating site. So what have you got to lose? The American entrepreneur and homemaker icon who has built an empire on cooking and decorating tips is 71 and single, and has decided that she’s not waiting around any longer for men to approach her. She’s taking things into her own hands, as she usually does with her business endeavors. Only this time, it’s her personal life she’s talking about. I applaud her decision and think that it’s inspiring for anyone who is considering trying online dating. Her move is especially empowering for seniors, who might think that at 71 finding love or companionship isn’t really possible. Dating isn’t just for the young. 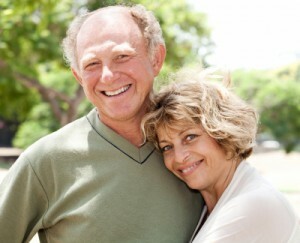 In fact, the fastest-growing segment of online dating members are seniors. Many of them are divorced with grown children, and looking to move on to the next phase of their lives. There are no set formulas to what senior daters are seeking, either. Many of them have had experiences with long-term relationships and have learned what they do and don’t want. They also know themselves better, and can be more relaxed about dating and the progress of a relationship. They may not be looking to get married or live with another person. Joining an online dating site doesn’t necessarily mean you’re looking for a serious relationship. You could seek companionship or just casual dating as Martha is seeking. Just make sure you state what you want in your profile, so your date knows what to expect and there aren’t any misunderstandings. And as for your age preferences? There are no rules. Martha has stated she’s looking for younger men aged 55-70, because she feels that older men wouldn’t be able to keep up with her. Age is relative, so I say it’s okay to date younger, especially if you’re looking for adventure and you have a lot of energy. But my advice: cast a wider net, and date people your age and a little older, too. You never know what age the right person for you will be. I also advise that you take precautions with online dating, because there are some people out there who lie and take advantage. Martha Stewart is a public figure and has a team of lawyers on call, so likely she’s not going to be taken advantage of. But the rest of us aren’t so lucky. It’s important to keep personal information such as your full name, address and home phone number to yourself until you’ve dated for a while and feel comfortable sharing that information with each other. Also, don’t share any financial information with your dates. If they ask, then politely move on to the next man or woman. Nobody needs to know your finances in order to date you. Most importantly, pay attention to your gut. If something or someone makes you uncomfortable, then question him. It’s okay to call a date off if something doesn’t seem right. If you take care of yourself and approach online dating with a positive attitude, you will have a great time. Happy dating!